as a matter of fact there are almost 200 tertiary institutions in Nigeria, most often some of this institutions provide hostel accommodations for their students especially the federal universities,most often,the condition of these subsidized hostels are always poor with sub-standard facilities. That is not always the case with state universities in Nigeria as most often students attending state universities seek for decent accommodations near their school premises as majority of state universities don't even have school hostels for students. In the case of private universities,the case is often different, as the school authorities always make arrangement for decent hostels or accommodation for their students,however not everyone can afford to pay the tuition fees of some of these private universities. In this post we are going to quickly take a look at some of the top 5 best hostels in Nigeria and the university where they can be found. Pan-Atlantic University is a private university that is located in lekki area of lagos state. The tertiary institutions history can be traced back to the Lagos Business School that was founded in 1991. The school authorities of Pan-Atlantic University has a policy that allow independent organizations to build and develop hostels for their students inside the school premises. This however has made it possible for the school to have some of the best hostel accommodation and facilities in Nigeria. 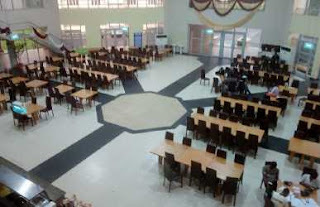 The Amethyst Hall in Pan-Atlantic University has been rated as one of the best hostel in Nigeria,the hostel has up to 134 Bed spaces plus a restaurant,air conditioning units,reading chair,as a matter of fact students are only expected to resume with only their luggage and provisions. The hostel facilities for girls include two female hostels named Pearl and Trinity Hall while the male Hostels include the Amethyst Hall and Faith Hall. There is also an option for a private rented accommodation. However,these luxuries come cheap,the tuition fee for this university is almost 2 million Naira per session. Coming in at number 2 is Baze University's Baze University Hall. This private tertiary institution was founded in 2011 and is located in Abuja Nigeria. Students accommodation is quite impressive ,which is expected considering the fact that the tuition fee of this university is about 2.5 million Naira per session. 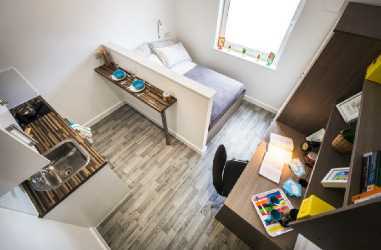 The students are housed in either one-person, or two-person per rooms hostel accommodation. Hostel facilities include study desks,reading lamps,refrigerators,fussball,television area,indoor tennis. 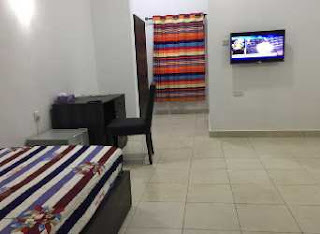 There is also the option of Private accommodation of one person per room which costs N550,000 per semester. 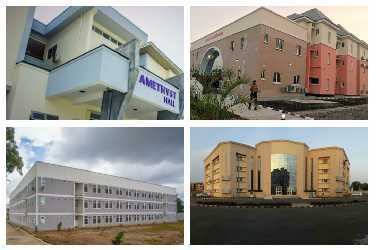 The American University of Nigeria is a private university located in Yola north eastern Nigeria. The school claims to offers American style higher education programs at the undergraduate, graduate and professional levels. With an undergraduate school fees at almost 1.6 million million Naira,it's only normal that one should expect to be offered a decent accommodation for studies. 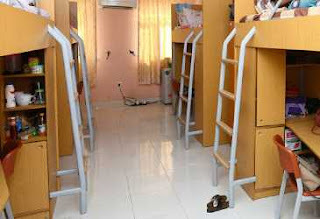 The Aisha Kande Hall is ranked as one of the best hostel in Nigeria,each room is equipped with a medium sized bed, bed side lamp positioned at the bed,an air conditioner, a reading table and four adequately shelved wardrobes each with its key with also a curtain enclosed shower,sink,mirror,water closet toilet system and water heater with 24hrs water supply. The Turkish Nile University is another private university in Nigeria with one of the best hostel settings in the country. The school offers accommodation on campus and also off campus. the hotel's facilities include cyber café, study rooms, common rooms, industrial kitchen, dining hall facilities, etc. Covenant University which is als called CU is a private university located in Ota, Ogun State in Nigeria. Covenant university is affiliated to Living Faith Church Worldwide,the owner of the church is the founder of the tertiary institution. 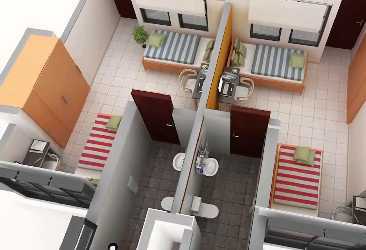 The tertiary institution has one of the best hostel facilities for its students,some of the facilities offered by the CU's hall houses include a room for two students connected to a personal card key,air conditioning,water heating systems and an uninterrupted 24 hrs light which is provided by an Independent Power Plant. 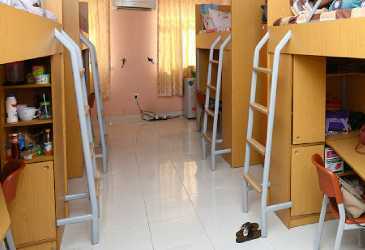 Here are some of the best hostel's in Nigeria,is your own school hostel worthy enough to be on this list? You can tell us in the comment section below.